Are you looking for a unique product to maximize your projects’ space? Do you want to create seamless transitions between indoor and outdoor living?Imagine the ability to effortlessly eliminate walls in a matter of seconds, and enjoy more fresh air and natural sunlight. 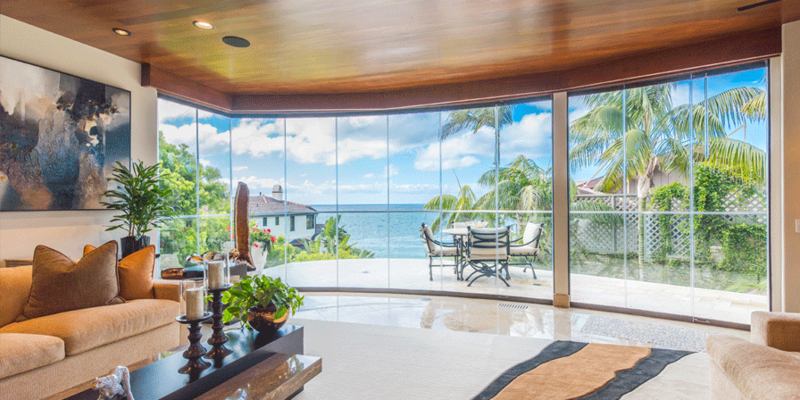 Consider Cover Glass USA, where we offer our Frameless Glass Doors to enhance and transform the way you live. 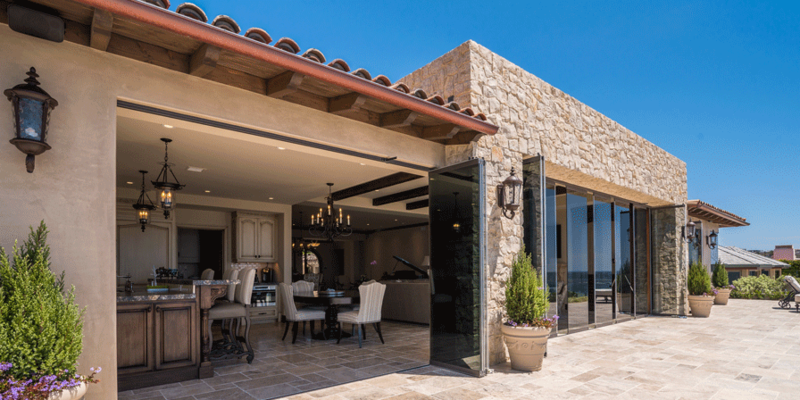 Our frameless glass doors are unlike any other product in current market – with no frames around our glass panels, we specialize in creating an “open concept” glass door system that freely slides and stacks at a 90˚ angle on the side. Opening to either the inside or the outside, each panel slides individually to the left or to the right, allowing the user to partially or completely open the system. Cover Glass USA’s frameless glass doors offer clear, unobstructed views that transform spaces and allow one to live a more open lifestyle. 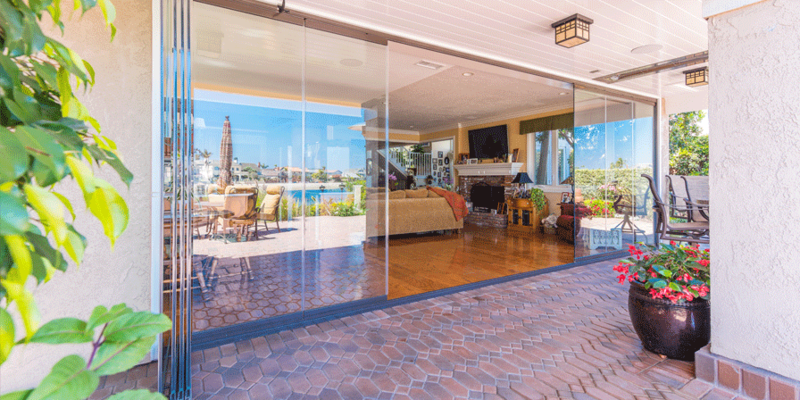 Whether residential or commercial, new construction or remodel, our glass doors have transformed projects all over Southern California — from private homes, to restaurants, to storefronts, to office buildings, and high rise condos, customers love the ability to enjoy their space in a new, innovative way. With no vertical frames to get in the way, you can enjoy the uninterrupted views that our high quality Folding Glass Doors gives you, while still being able to section off a space or protect your property from the weather. Your site line will always be clear, whether working from a private home office, watching the kids outside, or just taking in the outdoors from your bedroom on a cold winter morning — our Frameless Glass Doors are a great addition to enhance your visibility for any occasion. Adding Folding Glass Doors to your property adds considerable value by optimizing your open floor plan, adding to your livable space and enhancing your view. Say goodbye to traditional french patio doors and consider our Frameless Glass Patio Doors for any exterior application. 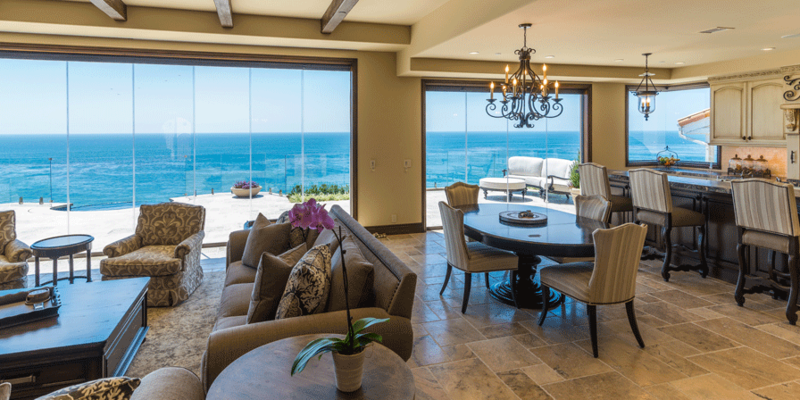 Our Frameless Patio Doors add an incredible WOW factor that is unmatched by any other product on the market. 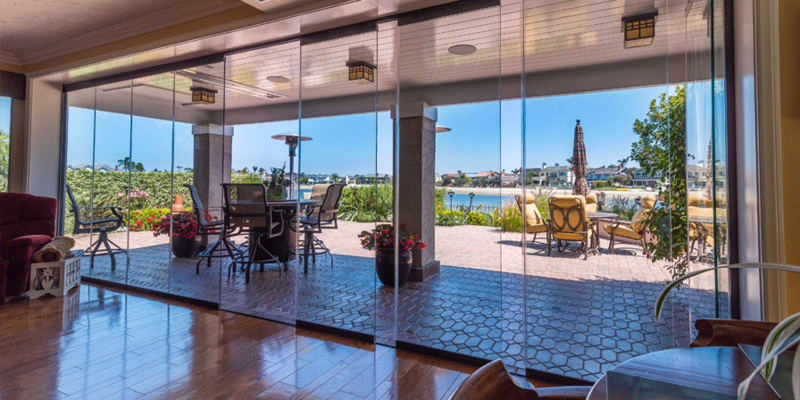 When you install our Frameless Sliding Glass Doors, not only will our tempered glass protect you from flying golf balls, but our lamination will work as a sound barrier that will greatly reduce the sound coming in when closed. Most importantly, unlike other single track sliding systems, our panels cannot be lifted from the track, and unless you request it otherwise, all our systems are made to lock from the inside only — making access impossible for potential intruders trying to get in. Rest assured that when you choose Cover Glass USA, you’re getting a Frameless Sliding Glass Door that keeps you and loved ones protected. Exterior Glass Wall Systems only take up 1 inch per panel when stacked. Unlike other systems that might stack bulky, our frameless glass doors allow for the thinnest stack possible. Never again do you have to install french or sliding doors that only leave you with 40% of your opening accessible; with Cover Glass USA’s Sliding Glass Panels, you get to take full advantage of the opening you’re trying to create because of our efficient, 1 inch per panel stack. 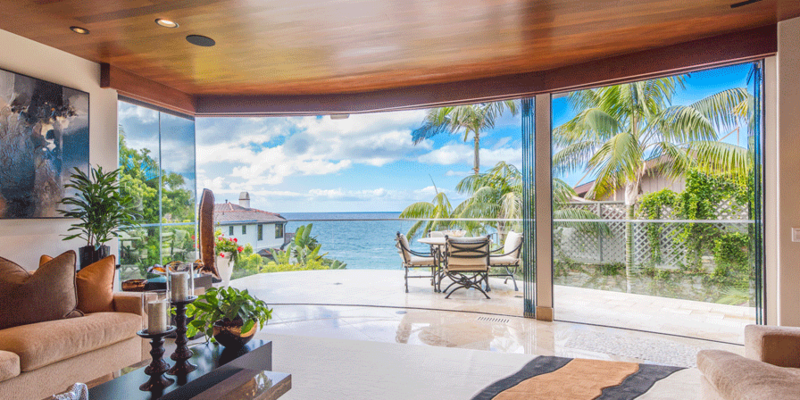 Inherent to the Cover Glass system is the ability to naturally ventilate the space you’re in. Since each folding glass door panel slides individually, users have the unique ability to open one or a few panels to create gaps within their system for natural air flow. During the summer months, many of our clients also elect to take off the interlocking channels between the glass panels for a more permanent ventilation effect, and when a storm comes, will pop them back into place to seal accordingly. Additionally, our systems capability to slide each panel individually also allows for easy access for cleaning. Cover Glass USA updated their profile picture.